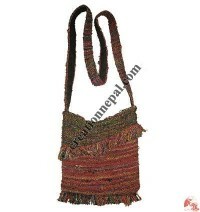 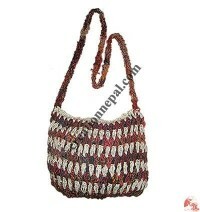 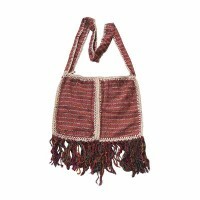 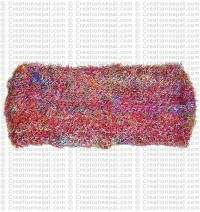 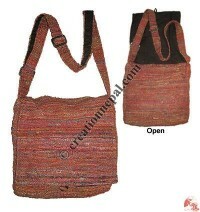 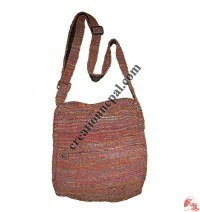 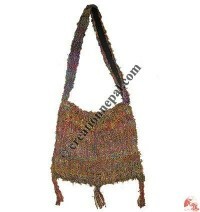 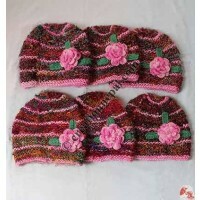 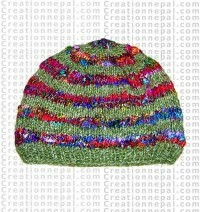 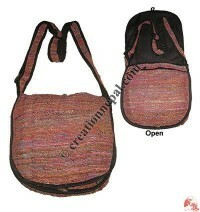 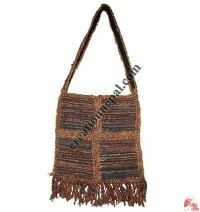 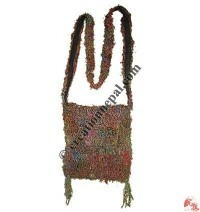 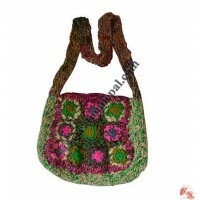 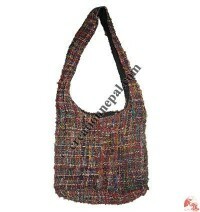 Creation Nepal recycled cotton products are mainly recycled cotton mufflers, recycled cotton and art silk bags, silk clothing and accessories, recycled cotton hats, headbands and all these products are made out of weaving mill waste yarns. 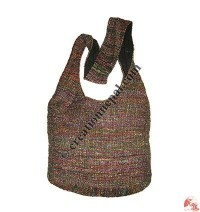 The leftover threads or other waste are gathered and hand spun to make these beautiful rustic looking yarn. 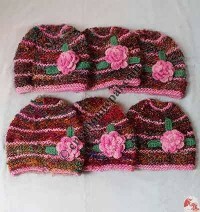 The colors will be supplied on all our recycled silk products will be based on the availability and they will mostly in different every time. 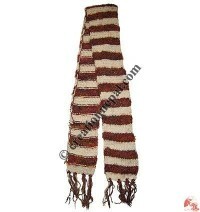 We also have wonderful hand spun soft and shiny yarn in varieties of colors made out of natural fibers looking like rayon and they are called banana silk here. 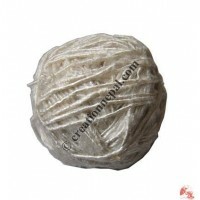 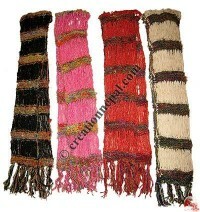 The banana silk yarn is mostly in use for hand knitting work for making mufflers, hats, shawls and bags.